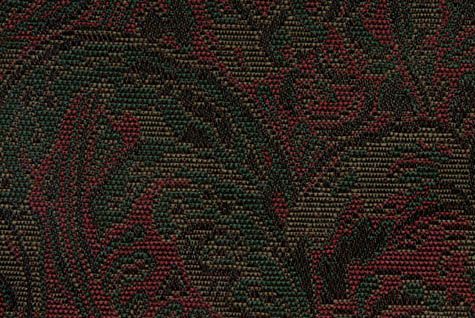 Merlot is a woven, full coverage, contract grade, leaf design in Black, Emerald Green, and Wine Red. With good durability, this fabric can work well in high traffic situations. Merlot is suitable for drapery, curtains, cornice boards, pillows, cushions, table toppers, bedding, headboards and furniture upholstery.